When you need a mid-size generator to provide power for everything from heaters to saws, look to these workhorses. 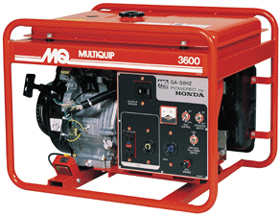 Multiquip generators will spend more time on the job and less time on your mechanic’s workbench. 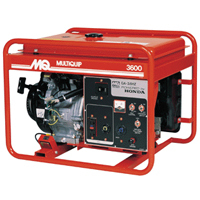 To power everything from heaters to saws, Multiquip’s 3.6kW generators are a logical selection. The GA-3.6HZ has an automatic idle that reduces fuel consumption during periods of no load. The generator includes steel fuel tanks with a sight gauge, a full-power switch and a voltmeter that allows the operator to quickly tell whether the unit is producing the correct voltage. This prevents overheating of expensive tools and equipment.